Despite recent progress, more than one-quarter of Latin America’s population lives in poverty. The region has some of the highest homicide rates in the world. Challenges also include social and economic inequality, degraded coastal ecosystems, disease, and natural disasters. We believe that research and innovation hold the keys to progress. Since the early 1970s, we have supported practical solutions through the skillful interaction of ideas, people, and funding for development research and policies. At times, the projects we support cross borders and boundaries, bringing together development practitioners in several countries. Our projects that capitalize on local and global knowledge bring strength to our quest for lasting solutions. Our aim? Long-term sustainability of development in Latin America and the Caribbean through economic growth, equitable access to health and social services, sustainable natural resources, and civil security. And we are making important progress. Located in Montevideo, Uruguay, IDRC’s regional office for Latin America and the Caribbean coordinates our activities in 33 countries. Francisca del Rosario Nataren Zavala (left) and Silvia Infante Alvarez are local beneficiaries of financial inclusion programs in Mexico. Sue Szabo of IDRC considers the importance of understanding different contexts in which global development agendas play out. 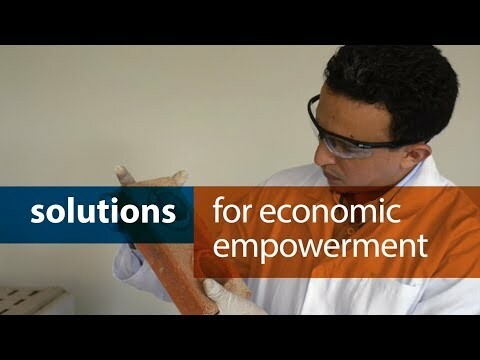 Watch how we invest in research that is improving incomes, creating job opportunities, fostering entrepreneurship, and transforming local challenges into economic wins.